Newsletter No 18. Week commencing Monday 5th February. Week 36. This is the 18th and final newsletter issued to keep you informed about the progress of the road works on Bochum Parkway. We are now entering our last week of works. The past 3 weeks have been spent completing all outstanding work and installing the traffic signals. The works are currently being inspected by Sheffield City Council and any issues that are raised, addressed. We have been carrying out the final checks on the new traffic signals, ensuring the information being picked up by the traffic loop sensors is correctly being read by the traffic signal equipment. The traffic signal equipment uses this information to constantly adjust the timing of the phases of the traffic signals to maintain traffic flow through the area whilst providing adequate time for pedestrians to cross the road. 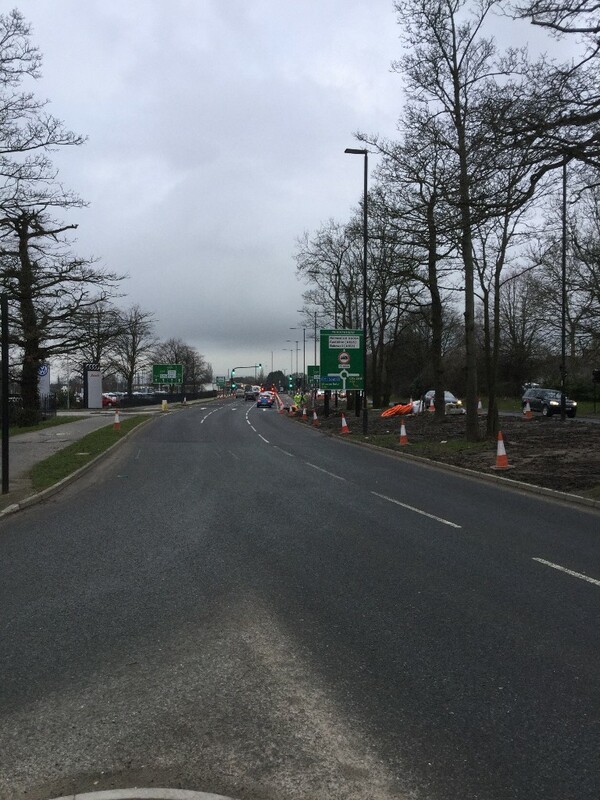 Day time lane closures will be in operation during off peak hours this week as we complete our works to Bochum Parkway. The final testing of the traffic signals will be carried out. Any outstanding work will be completed and the remaining site cleared up. 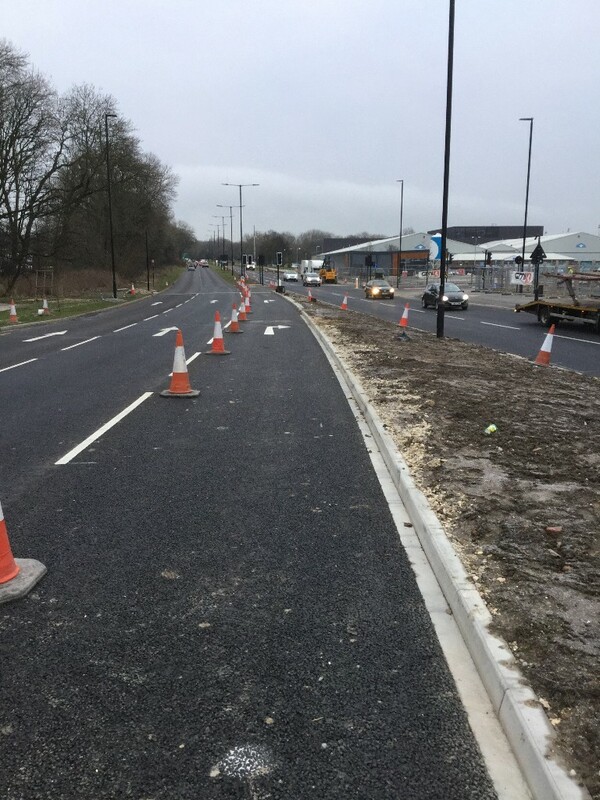 After reviewing the traffic using the altered Meadowhead Roundabout, there are some adjustments to be made to the road markings. These will take place on the evening of Thursday 8th February. Lane closures will be in place and some traffic may be held up for a short time ( a few minutes) whilst the markings are laid across adjacent lanes. • Seeding works to topsoiled areas which cannot be undertaken until the seeding season, commencing in March. We acknowledge that road works carried out on busy road networks cause immense disruption for local residents and traffic. Thank you for being patient these past 9 months during these works. We hope that you have felt informed by these newsletters.